Waratah Forestry Attachments and its supplier, Auckland, New Zealand-based Actronic Technologies have co-developed the LogRite Measuring and Control systems for many years. Now the companies have agreed that Waratah will handle the LogRite system exclusively, and Actronic will continue to focus on its other product lines, businesses, and new opportunities. Going forward, Waratah will be the exclusive owner of the LogRite system and has applied for trademarks for this brand in multiple countries. Morbark Inc., a leading manufacturer of tree care, forestry, sawmill, and wood recycling equipment, announced the territory expansion for Papé Machinery into northern Idaho. A respected Morbark forestry and recycling dealer for almost 20 years, Papé Machinery adds Boundary, Bonner, and Latah counties in Idaho to an already well-established territory throughout California, Washington, Oregon, and western Nevada. The expansion became effective April 16, 2012. Barko Hydraulics, LLC, announced it has acquired the assets of Norco Equipment Company of Oconto Falls, Wisc. The acquisition will enable Barko to significantly expand customer options in the forestry, bio-energy, recycling, and right-of-way maintenance (ROW) markets while complementing Barko’s existing line of material handlers. Norco currently manufactures products under the PUMA Equipment brand headquartered in Oconto Falls. PUMA builds 4 and 6-wheel forwarders, track harvesters, processing heads, and firewood processors. “The completion of the Norco acquisition represents the latest step in our strategic plan to aggressively grow our forestry business offerings,” said Barko President Eric Blashford. 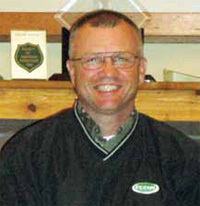 Fecon is pleased to introduce Brian Tinker as the new Regional Manager for the Northwest. His territory includes Washington, Oregon, Idaho, Montana, Northern California, Alaska, Hawaii, and a portion of Nevada. Brian has extensive experience with new and used equipment in the Northwest and specializes in the recycling and biomass industries. Bandit Industries President Jerry Morey received the Tree Care Industry Association (TCIA) Award of Merit this past February. The award is TCIA’s highest honor, considered by many to be the most prestigious and exclusive award within the tree care industry as it’s not presented every year. The TCIA Award of Merit is a very special recognition that honors achievements and contributions throughout the tree care industry. Hyster Company recently honored its top-performing dealers with its prestigious Dealer of Distinction award. The 2011 award-winning celebration, held on Kiawah Island, S.C., marked the 18th year that Hyster has honored its dealers for their industry-leading level of performance in all areas of the materials handling business. 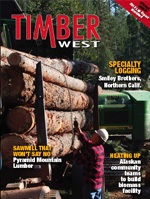 The Northwest recipients of the 2011 Dealer of Distinction award included: Arnold Machinery Company of Utah; Papé Material Handling Inc. of Portland, Eugene, Central Washington, Spokane, and Sacramento; and Wajax Industries-West. The Wilbur-Ellis Company, which distributes and markets crop protection, seed, and nutritional products, announced that it acquired the assets of Farm & Forest Helicopter Service Inc., based in Napavine, Wash.
New Holland is celebrating 40 years of manufacturing skid steer loaders. The company’s leadership in the skid steer loader category began in 1972 with the introduction of the L35, the industry’s first vertical lift skid steer loader equipped with the patented Super Boom® lift linkage. Today, the company’s skid steer loaders are sold in 120 countries around the world through New Holland Construction and New Holland Agriculture dealer channels. Congrats!